For reasons of analogy, I'll describe the storyline of my favorite documentary, Herzog's The White Diamond. If you haven't seen it, I hope you do. It's excellent. 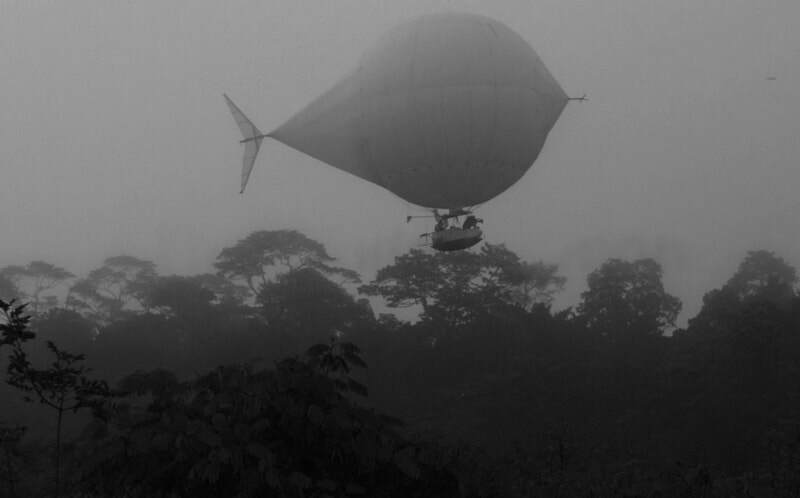 The film is about a British Botanist who creates a white blimp that he and his team bring to the Amazon. The idea is to find plant specimens at the top-most level of the rain forest. The scientist hopes to discover medicines from these plants- so the project is well funded. The film's subtle subtext is revealed as their African guide explains about the medicinal plants he finds in forest caves, while concurrently, the blimp fails to fly. I think of the subtext as “subtle” because I've watched the film with friends who didn't notice this pivotal element. Obviously, it is a comment on lost ways of discovery, superimposed by manifest-destiny-like ventures. The way I see it, Western art, like Western science, is derived from the same promotion of individualist perspectives. And the lack of understanding collective interactions and approaches goes to the core of our ravaging of nature. Our greatest hope is that scientists of all disciplines are beginning to work in multidisciplinary teams to better understand collective behaviors and systems. The beauty of collective understanding is far reaching. In her book The Whole Creature: Complexity, Biosemiotics and the Evolution of Culture, Dr. Wendy Wheeler explains collective understanding as an evolutionary change in our collective unconscious. In her feminist view, this change, most noticeable in scientific exploration, will allow us to create egalitarian societies for the future. This exhibition is an appeal for a further experiment, one where leading-edge creative teams include artists, not only as visual communicators and designers, but as conceptual partners. Paleontologist & Curator of the Ammonite Collection at the Museum für Naturkunde Berlin. Dr. Korn has written over 200 papers and books and will have described 400 new species by the end of 2017, including descriptions of numerous new species of cephalopods. Head of the Department of Biodiversity Discovery and Curator for Hymenoptera and Neuropterida at the Museum für Naturkunde Berlin. Dr. Ohl is a specialist on the taxonomy and evolution of wasps and has described numerous new species. He is also interested in the changing cultural role of museums, collections and natural history. Managing Head of the Entomology Collections at Museum für Naturkunde Berlin. Responsible for the strategy and development of the entomological collection. Kirschey's special interest is the taxonomy and evolution of wasps and lacewings, which he would be pleased to see envisioned in art. Mannion is an animator, illustrator and video artist who has created projects for science museum exhibits across the USA. He was director and animator for Snapshots in Time featured in the Smithsonian Institution National Museum of Natural History, storyboard artist for Planet You, a Stereoscopic 3D film for the Museum of Science, Boston, and animator and art director for Superheated Water at the Yellowstone Museum. As a winner of the prestigious traveling scholar award from the Museum of Fine Art, Boston, Mannion traveled extensively throughout Europe and Asia. He lives and creates in Los Angeles, CA. As an international, multimedia artist in the realm of art/science, Warming heads the curatorial team. She has developed projects with scientists at the Museum für Naturkunde Berlin, the American Museum of Natural History, Yale Peabody Museum of Natural History, and the US Department of Fish and Game. Her art has been in exhibition at the 2009 Venice Biennale détournement and is in permanent collections at the Nabokov Museum in St. Petersburg, Russia and Foster + Partners’ Library at the Freie Universität Berlin. mp is based in Berlin. 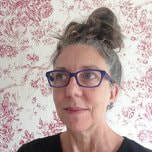 Burnett is an artist and art professor in the Graphic and Multimedia Design program at the State University of New York, Canton and a former Assistant Forest Ranger for the Department of Environmental Conservation in NY. Currently, he is on sabbatical while teaching Biomimicry and 3d printing at Munich University of Applied Sciences. In addition to painting, he is known for his new media environmental installations. Burnett lives, paints and breathes the Adirondack Mountains.